Dr Thair Altaii has denied voyeurism charges. A trusted GP who had a haul of 19,000 images of woman patients on his home computer has told a court they were "definitely not" sexual. Dr Thair Altaii used two mobile phones to film female patients during medical appointments at his surgery in Sunderland and stored videos and still images on his laptop, jurors have heard. 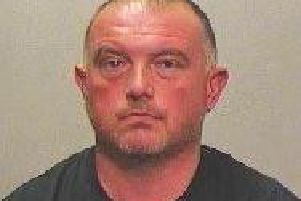 The 55-year-old, of White Rocks Grove, Whitburn, denies three offences of voyeurism between 2008 and 2014, in relation to two female patients, and is being tried by a jury at Newcastle Crown Court. Speaking from the witness box, the medic told jurors he filmed many of his patients during consultations with their consent but accepted some of them were not asked. The GP told the court: "These were mainly done for self-assessment. I was looking for what things I have done wrong, what things I have done right, verbal cues, English language, accents of the Sunderland people, which I struggled to start with." He added: "The English language you learn about, written English, is something and the language you talk to a patient is different." The doctor said as well as taking the covert videos for self-assessment, he also used them to plan training with student medics and always had "patient care" in mind. He told the court he sometimes recorded without permission to ensure the subject was acting completely normal and added: "Patient behaviour differs when they are aware they are being recorded. "I didn't want the patient behaviour to be different from normal, otherwise you lose the point of recording." Altaii told jurors he had taken a total of nine recordings without permission and many more with consent but said he deleted them after viewing, which was sometimes on his laptop. He said he was uncertain how some of the 19,000 images, which prosecutors say are screenshots from covert recordings, were generated and thought it may have been as a result of a video being paused during viewing. The doctor told jurors: "Basically, I always delete everything, so to me they didn't exist. What exists is only the knowledge and the lessons learned from them." Altaii said the footage found contained images of females because they made up the bulk of his patients. He said: "People call the NHS 'no man's land' because men, they don't consult their GPs as much as women. Not only that, women consult repeatedly for the same or similar problems." When asked why he initially denied filming any footage when he was first interviewed by the police, the doctor said: "I was shocked that day, I was preparing myself for a normal working day, getting my little daughter to school and then next thing I saw people are raiding my house, there's a police car in front of my neighbours, my children are crying. "Next thing, I'm in a cell. I have not been in a police station in all my life. "I was there 10-12 hours. I am not criticising the police, they were kind, but I was in shock. "They offered me food and drink but I couldn't have anything. "I was really in a shocked state, I don't think my mind was working at the time. I was only thinking 'what am I doing here'." Altaii denied any of the images, which showed women in various states of undress and included shots of intimate areas of their body, were for sexual gratification. One picture showed a female wearing a mini dress and the doctor said: "If you walk in the street you will see 100 people wearing that." Another showed a woman, who suffered a condition called scoliosis, wearing a thong. The doctor said: "You see the thong, I see the scoliosis." He told jurors the pictures were "definitely not" for sexual purposes. The court has heard the police became involved when a patient noticed two mobile phones, propped up in different places during an appointment with Altaii at his surgery. Altaii initially told detectives he had not taken any recordings of patients at the practice without consent.